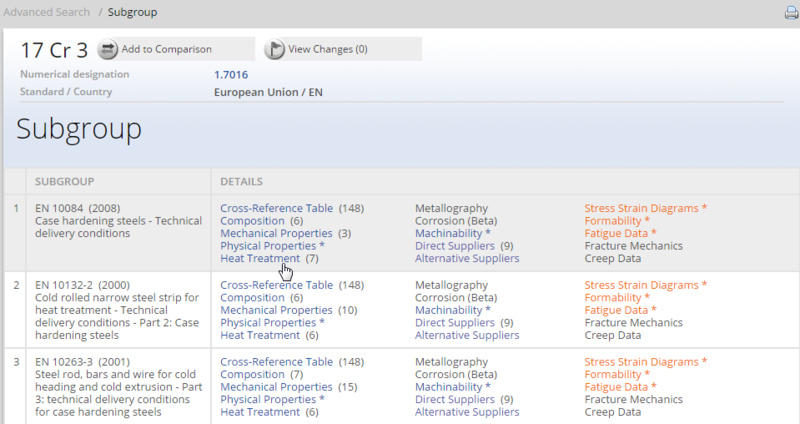 Total Materia has launched their new advanced search module which gives greater possibilities to intuitively find the materials you are looking for! Carburizing is a case-hardening process in which carbon is dissolved in the surface layers of a low-carbon steel part at a temperature sufficient to render the steel austenitic, followed by quenching and tempering to form a martensitic microstructure. The resulting gradient in carbon content below the surface of the part causes a gradient in hardness, producing a strong, wear-resistant surface layer on a material, usually low-carbon steel, which is readily fabricated into parts. In gas carburizing, commercially the most important variant of carburizing, the source of carbon is a carbon-rich furnace atmosphere produced either from gaseous hydrocarbons, for example, methane (CH4), propane (C3H3), and butane (C4H10), or from vaporized hydrocarbon liquids. 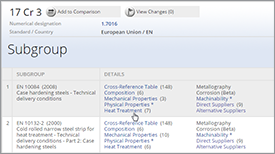 Low-carbon steel parts exposed to carbon-rich atmospheres derived from a wide variety of sources will carburize at temperatures of 850°C (1560°F) and above. The final carbon concentration at the surface of the parts is below the solubility limit in austenite. Sooting of the furnace atmosphere is minimized. Endothermic gas (Endogas) is a blend of carbon monoxide, hydrogen, and nitrogen (with smaller amounts of carbon dioxide water vapor, and methane) produced by reacting a hydrocarbon gas such as natural, gas (primarily methane), propane or butane with air. For Endogas produced from pure methane, the air-to-methane ratio is about 2.5; for Endogas produced from pure propane, the air-to-propane ratio is about 7.5. These ratios will change depending on the composition of the hydrocarbon feed gases and the water vapor content of the ambient air. A carrier gas similar in composition to Endogas produced from methane can be formed from a nitrogen-methanol blend. The proportions of nitrogen and methanol (CH3OH) are usually chosen to give the same nitrogen-to-oxygen ratio as that of air, that is, about 1.9 volumes of nitrogen for each volume of gaseous methanol. Gas carburizing furnaces vary widely in physical construction, but they can be divided into two major categories, batch and continuous furnaces. In a batch-type furnace, the workload is charged and discharged as a single unit or batch. In a continuous furnace, the work enters and leaves the furnace in a continuous stream. Continuous furnaces are favored for the high-volume production of similar parts with total case depth requirements of less than 2 mm (0.08 in.). Other variables that affect the amount of carbon transferred to parts include the degree of atmosphere circulation and the alloy content of the parts. Temperature. The maximum rate at which carbon can be added to steel is limited by the rate of diffusion of carbon in austenite. This diffusion rate increases greatly with increasing temperature; the rate of carbon addition at 925°C (1700°F) is about 40% greater than at 870°C (1600°F). 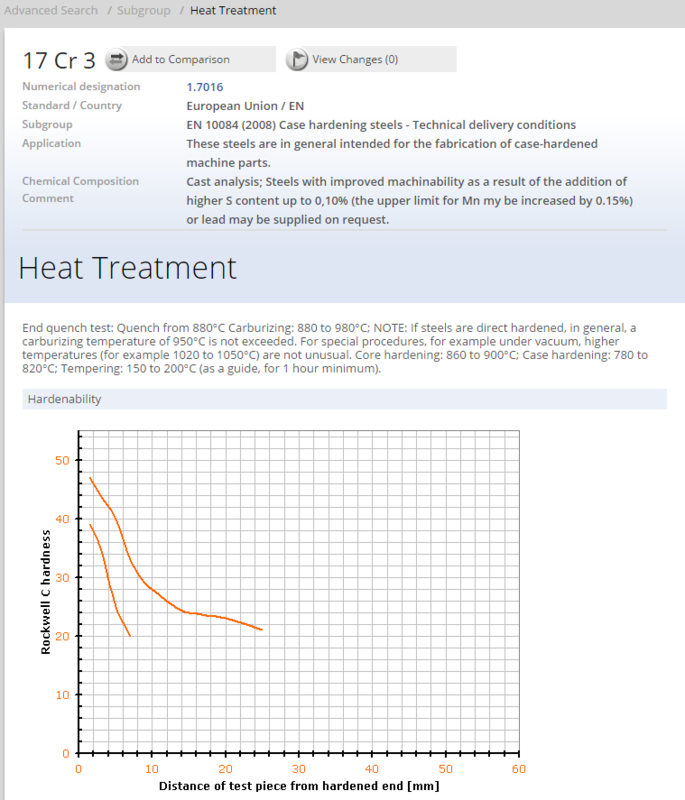 The temperature most commonly used for carburizing is 925°C (1700°F). 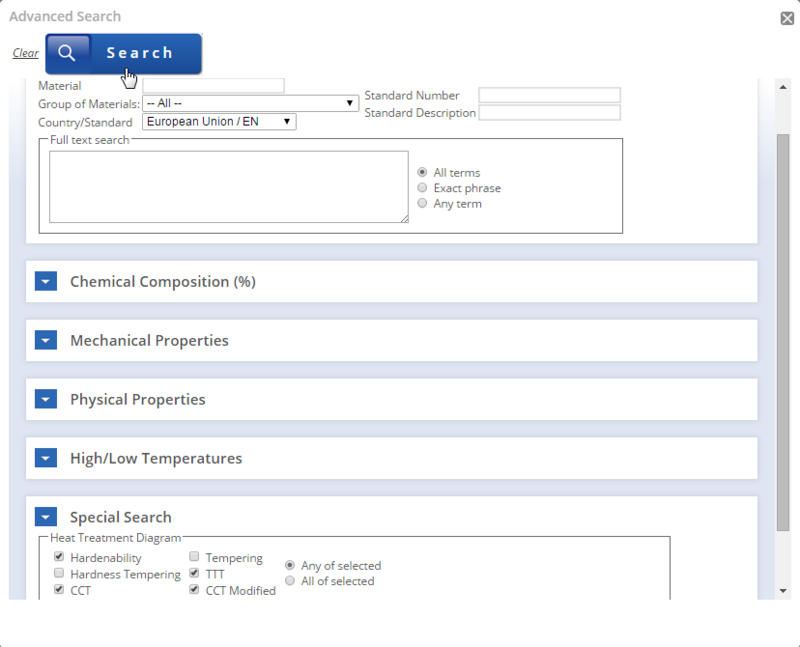 This temperature permits a reasonably rapid carburizing rate without excessively rapid deterioration of furnace equipment, particularly the alloy trays and fixtures. The carburizing temperature is sometimes raised to 955°C (1750°F) or 980°C (1800°F) to shorten the time of carburizing for parts requiring deep cases. Conversely, shallow case carburizing is frequently done at lower temperatures because case depth can be controlled more accurately with the slower rate of carburizing obtained at lower temperatures. Add only Endogas to the front of the furnace. Establish a front-to-back internal flow of atmosphere gases by adjusting flow rates and orifice size in the effluent lines at either end of the furnace. Time. 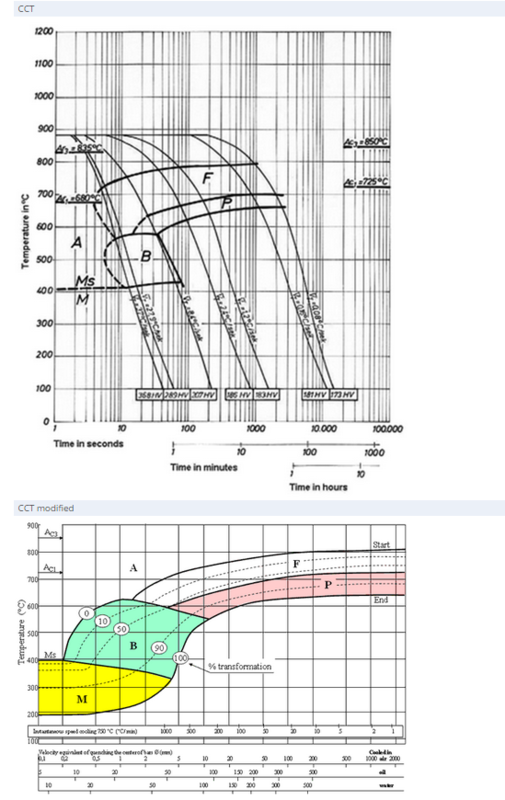 The effect of time and temperature on total case depth shows that the carburizing time decreases with increasing carburizing temperature. In addition to the time at the carburizing temperature, several hours may be required to bring large work pieces or heavy loads of smaller parts to operating temperature. For a work piece quenched directly from the carburizing furnace, the cycle may be lengthened further by allowing time for the work piece to cool from the carburizing temperature to about 843°C prior to quenching. Similarly, additional diffusion and interchange of carbon with the atmosphere will occur during cooling prior to quenching. More complex mathematical models that allow for variations in temperature and atmosphere carbon potential with time can be constructed to allow a better prediction of case depth. Carbon Potential. The carbon potential a furnace atmosphere at a specified temperature is defined as the carbon content pure iron that is in thermodynamic equilibrium with the atmosphere. The carbon potential of the furnace atmosphere must greater than the carbon potential of the surface of the work pieces in order for carburizing to occur. It is the difference in carbon potential that provides the driving force for carbon transfer to the parts. Carbon Diffusion. 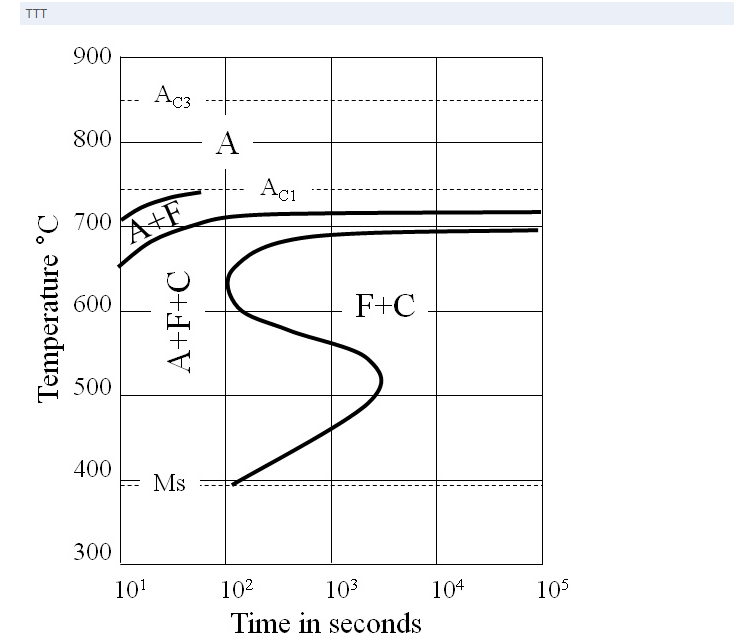 The combined effects of time, temperature, and carbon concentration on the diffusion of carbon in austenite can be expressed by Fick’s laws of diffusion. 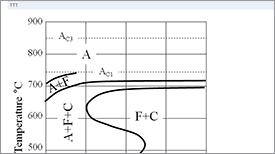 Fick’s first law states that the flux of the diffusing substance perpendicular to plane of unit cross-sectional area is proportional to the local carbon gradient perpendicular to the plane. The constant of proportionality is the diffusion coefficient D, which has the units (distance)2/time. Fick’s second law is a material balance within elemental volume of the system; the flux carbon into an elemental volume of iron minus the flux of carbon out of the elemental volume equals the rate of accumulation of carbon within the volume. Combining the two laws leads to a partial differential equation that describes the diffusion process. where Γ, the activity coefficient, is chosen so that ac=1 for an amount of carbon in solution that is in equilibrium with graphite. Chromium tends to decrease the activity coefficient, and nickel tends to raise it. As a consequence, foils of a chromium-bearing steel equilibrated with a specific furnace atmosphere will take on more carbon than pure iron, and nickel-bearing steels will take on less carbon. It is also true that carbides are produced at lower carbon potentials in chromium-bearing steels than in carbon steels. The primary effect of alloying elements on the diffusion of carbon is due to their effect on the driving force for the surface reaction. To obtain the true driving force, the surface carbon content in an alloy must be converted into the equivalent carbon content in pure iron. 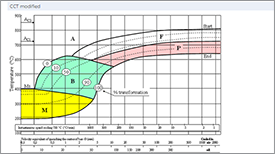 Methods of correcting the activity coefficient of carbon for alloy content are available. However, the quantity of experimental data upon which such correlations are based is rather limited. Therefore, predictions should be verified by experiments, particularly when an alloy contains substantial amounts of more than one alloying element. Case Microstructure. A carburized case is usually a mixture of tempered martensite and retained austenite. Other micro constituents, such as primary carbides, bainite, and pearlite, are generally avoided. For a particular alloy, the amount of retained austenite in the case increases as the case carbon content increases. 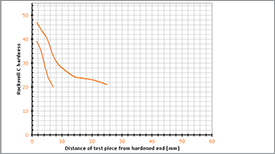 An appreciable decrease in case hardness is usually found when the amount of retained austenite exceeds about 15%, but for applications involving contact loading, such as rolling element bearings, the best service life is found when the retained austenite content is quite high, for example, 30 to 40%. 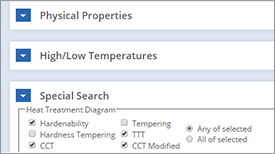 In other applications, especially when dimensional stability is critical, the retained austenite content should be low. © 2015 Key to Metals AG. All Rights Reserved.